New mobile average speed cameras will be introduced on the roads of Northamptonshire as part of a strategy to reduce the number of deaths on the county’s roads. Northamptonshire’s Police and Crime Commissioner Adam Simmonds has agreed with the Chief Constable Simon Edens, to double the number of speed camera vans equipped with night-time enforcement systems. The force is also set to buy new mobile average speed camera systems, which will be used on rural roads as well as dual-carriageways. The move comes after latest figures showed the number of people dying on the roads in Northamptonshire increased by 50 per cent last year compared to 2014. By the end of December, 32 people had been killed in accidents, an increase of 11 on the previous year, according to statistics published by Northamptonshire Police last month. Mr Simmonds said drivers had become too “complacent” since the fixed speed cameras were switched off. 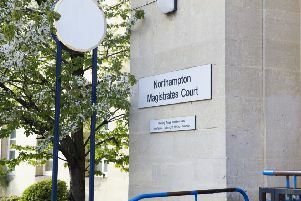 He said: “In the summer of 2015 I visited 100 different villages and parishes across Northamptonshire and the number one concern raised throughout my conversations with residents was the problem of speeding on our roads. “It is clear to me that fixed speed camera sites have not worked, and were dismissed as ‘cash cows’ for the police. It is important therefore that new solutions are found to protect local communities and enforce speed limits. “This new initiative will employ new technologies such as mobile average speed cameras and will see Northamptonshire Police work closely with local communities to clamp down on those motorists who ignore speed limits and put themselves and others at risk. “Speeding kills – it is as simple as that. We need to ensure that drivers stick to speed limits in order to keep motorists and pedestrians safe. Speed limits are set for precisely this reason, to preserve lives in the event of an accident and to ensure the safety of the people of Northamptonshire. Mr Simmonds said he hoped the new cameras would be in use by this summer. No cost has yet been announced for the purchase of the new equipment. Rachel Swann, Assistant Chief Constable of Northamptonshire Police, said: “We will evaluate the use of different locations and static speed measures versus average speed measures to ensure we are being as effective as possible at preventing road trauma and enforcing speed limits.